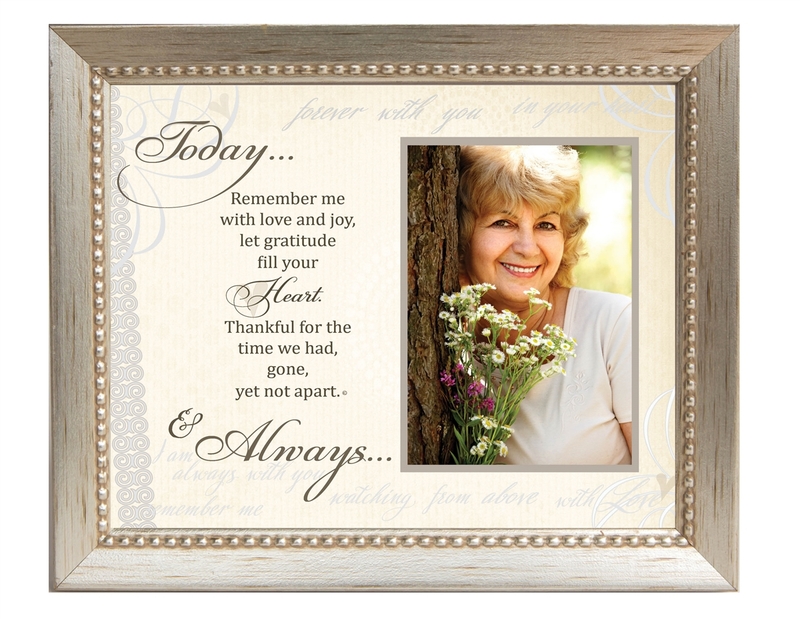 8x10 frame includes Today and Always sentiment and space for 3.5x5 or 4x6 photograph. A thoughtful memorial frame for a grieving friend or family member who wants to celebrate and remember their lost loved one, or a wedding table remembering family members not present. Select from our white, silver or black frame for wall or tabletop display.